← Meet the Team! Carol and Laura! 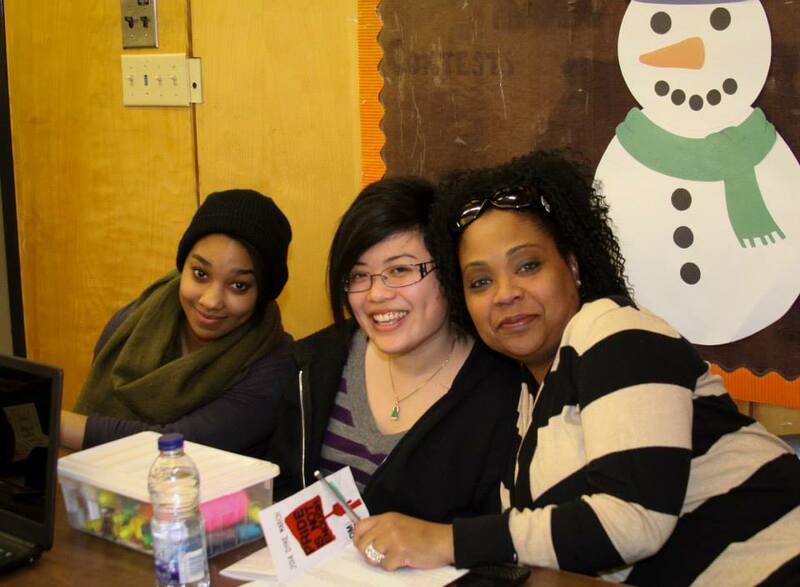 The Dyke March Toronto Team held a Town Hall meeting on March 18. We had a great turn out, and great conversations with our community members. We were so excited to share some of the projects we have been working on with all of you! For those of you who may have missed it, keep checking our blog as we roll out our materials, projects, and campaigns for the 2014 WorldPride Dyke March! Every year, the committee writes a Mission Statement that inspires and motivates our organizing — and our spirits. 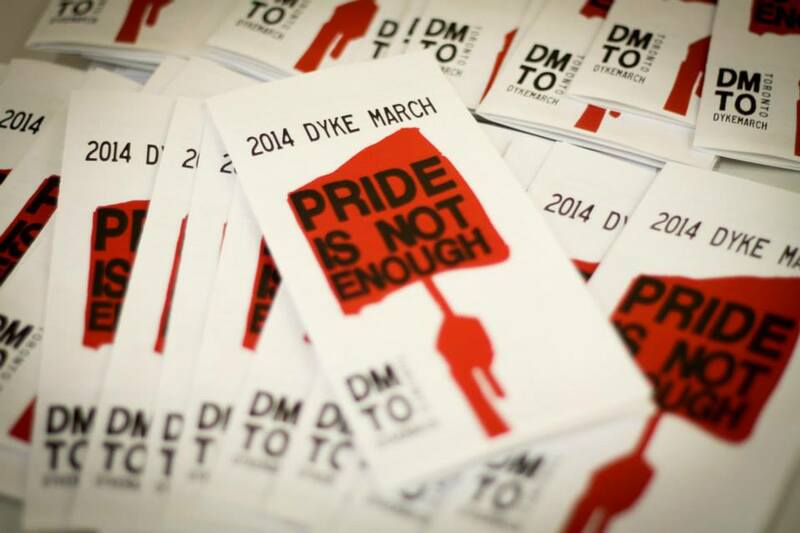 Here’s what drives the 2014 Dyke March Committee! The 2014 Toronto Dyke March works to create dyke-centred spaces because we need — and demand — more visibility within the Pride Toronto Festival. Our goal is to organize a political and celebratory march, created by and for dykes across the spectrum. We need to create our own space to be political and visible. Dyke visibility is important because we are not fully represented in the Pride movement or in mainstream society. The Dyke March celebrates our diversity and demonstrates the power of our communities. We hope the Dyke March leaves you with energy to take action, a sense of community, and appreciation for your own unique dyke glory! The Dyke March values collective organizing to give dykes who are historically oppressed a platform. These include, but are not limited to, trans folks, Indigenous folks, folks of colour and folks with disabilities. We see this as necessary to create social change. Didn’t make it to the Town Hall and have feedback to share? Contact us! This entry was posted in committee, Events and tagged 2014 dyke march, dmto, dyke march, dyke march toronto, Mission Statement, our mission, pride toronto, world pride, WP14TO. Bookmark the permalink. Please say “people” or “persons,” not “folks.” You end up sounding like George W. Bush otherwise.